Ah another internet thing to keep me motivated. But this one pays me $$$! 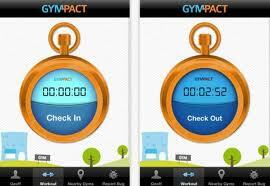 No seriously, I can earn money through the Gympact app. We’re not talking heaps of cash, just a dollar or so, about 80p ish, every week, but it’s more money than if I didn’t have a gympact set up! So the premise is simple, I say I’ll go to the gym / go running / do some excersise 3 times a week. 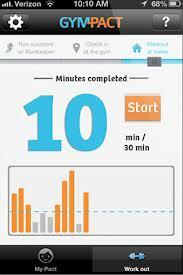 check into the gym through the app, do 30 or more of excersise, then check out. It logs that I’ve done one of my workouts and all I have to do is the same again 2 more times. Yup, “HOLY BICEPS, BATMAN!” Seriously how could I not like an app that says that every time you work out? I’ve had no problems, aside from having to switch notifications off, as the 1st week I had it it told be several times at 3am I had completed a work out. When I first downloaded it, I thought I’d have to register my gym, as Preston is hardly a Gotham City, we’re 5% the size of Manchester! But the anticipated faff did not happen, I loaded up the check in screen & it told me where I was, and I just got on with the normal stuff I get up to in the gym. The dead line is always Sunday evening, and if you fail to make the pact you set up, then you’re charged the amount you choose to put on the line, $5 per workout missed for me. But wait, it’s 9pm Sunday & I still have one more workout to complete, and the gym is closed, it’s snowing & dark so I can’t run. No problem, there’s an activity tracker too. So, this hypothetical Sunday, it wasn’t just a few weeks ago honest, I would suggest spending 30 minutes doing things like running up & down the stairs (also good in #Janathon), doing jumping jacks & situps, so that the orange bar goes above the dotted line for 30 minutes. That logs as a workout & you can sleep safe, and a little exhausted, knowing that your lethargy did not cost you $5. This app seriously motivated me to move my lazy backside that Sunday night… Hypothetically of course. I’ll be honest, I’ve only earnt a couple of dollars so far. But it has bullied me into a routine, so much that I’ve upped my Gympact to 4 days a week. And honestly it’s the thought of paying out for missing a workout that makes me go out & do it than the cash coming in. But I figure that the money coming in is going to get spent, eventually, on something cool & I will have literally sweated my arse off for it. It’s quite new, and as I mentioned earlier, not without a few bugs now & again, but the guys on the end of the support email are quick to respond & helpful too. The only thing that seems lacking is some sort of comunity side to it, it’s just me against me, I can tweet what I’m doing & up load it to facebook, but that’s it. It would be good to have some sort of interaction with other users, or challenge people for your weeks pay out, or just for fun. But they are still new & I guess there could be lots of new things in the pipe line. If this sounds up your street how about a $5 gift to get your Gympact started? Let me know how the referral goes if you use it! I look forwards to hearing how you’re going! ← #VegBoxChallenge – The First Box!